Available to order In-Store. Stop by any Menards for information and to purchase. This loafing shed is a great solution for farming or equestrian needs! The open side of the building allows ease of access for horses and other animals, so they can have shelter when necessary. 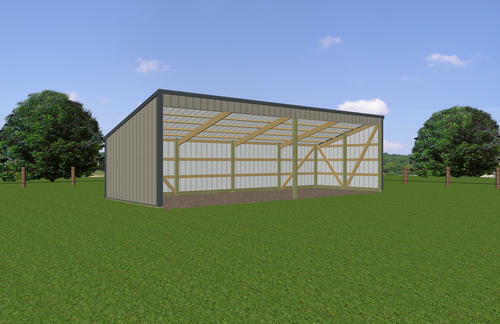 The shed is also great for storing hay, feed, firewood, yard equipment and more!